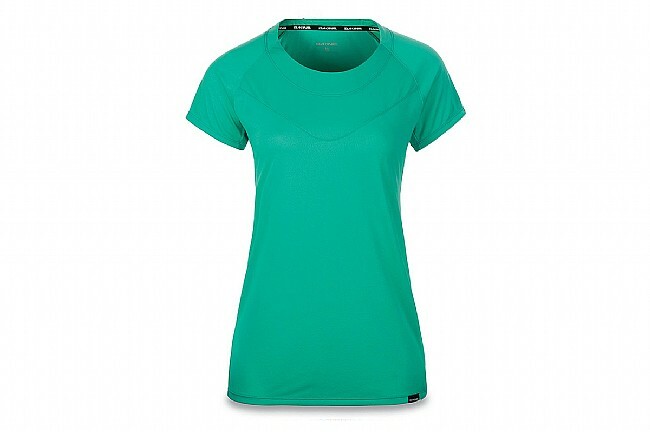 Taking their design cues from the world of casual streetwear, the Dakine Women's Faye Short Sleeve Jersey is at home on your commute, or on the mountain. Blending casual comfort and clean lines with high-performance technology, this jersey features a blend of pin-hole mesh and 4way stretch mesh, providing natural ventilation, cooling, and moisture wicking. Comfortable, stretchy Raglan sleeve design. Pin-hole mesh material provides natural ventilation and cooling. 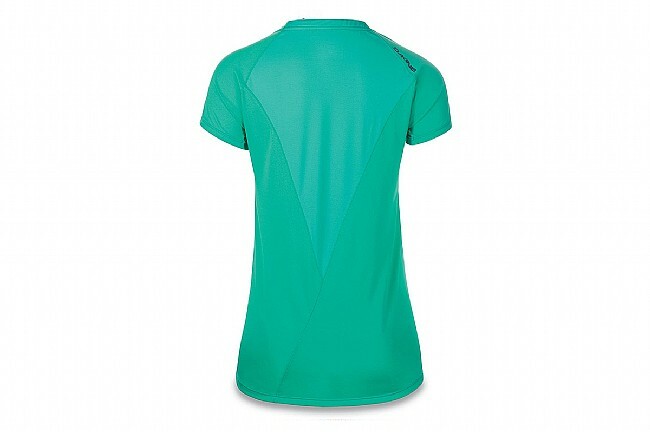 4way stretch mesh in back and underarm panels increase ventilation and movement.